Nerf have branched out and the Nerf Nitro range doesn't fire darts or water, instead it blasts foam cars. Still with the power we've come to expect from Nerf, it's just as impressive as it sounds and works incredibly well. 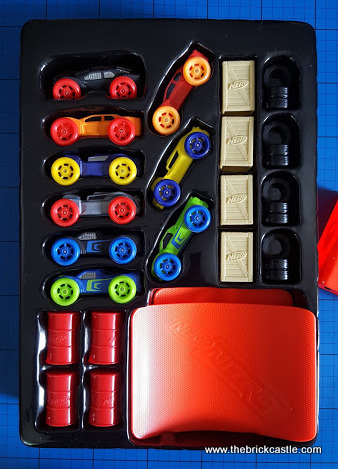 We've been sent the MotoFury Rapid Rally Set and Foam Car 3-Pack to review. 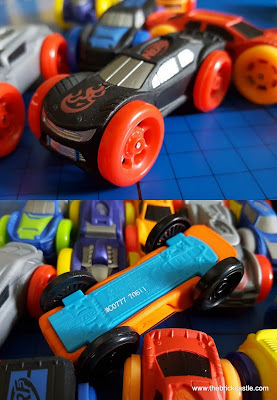 Included in the Nerf Nitro MotoFury Rapid Rally set are the blaster, 9 foam cars with plastic wheels, including 3 that are exclusive to this set. 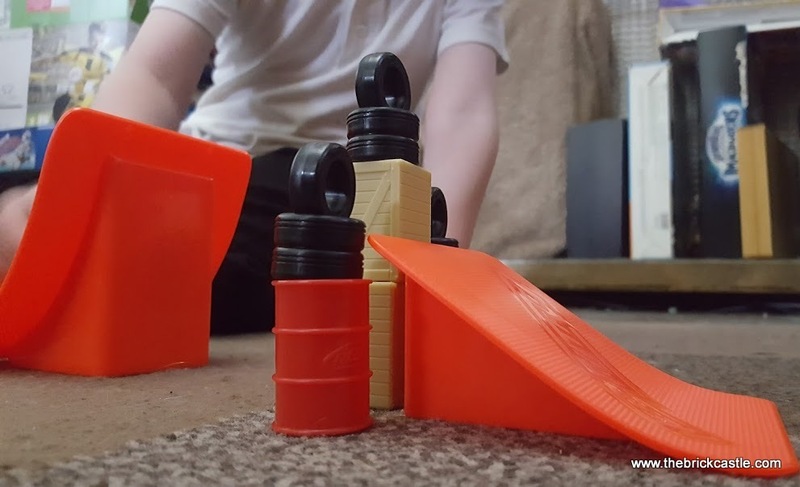 12 obstacles (tyres, barrels and crates), a high-jump ramp, a long-jump ramp and instructions. 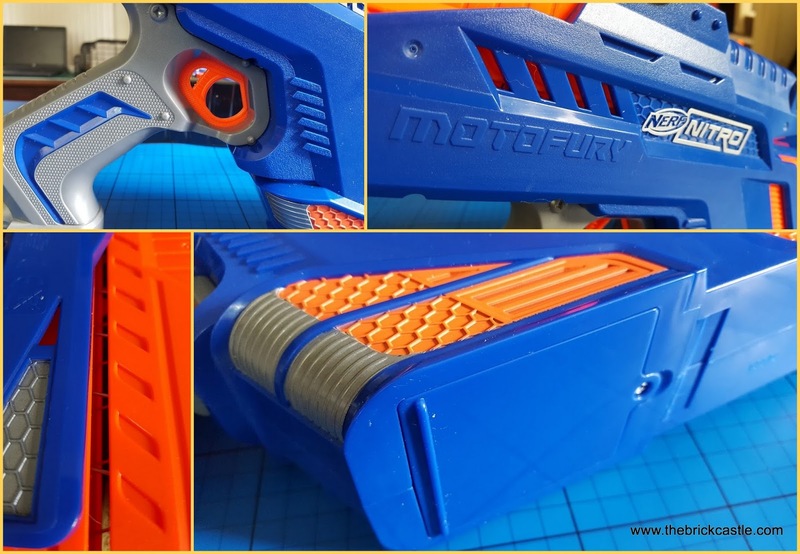 The MotoFury Blaster is big, but incredibly light and requires 4 x AA batteries which fit into the base for motorised rapid-fire blasting from the 9 car slot in clip. Don't overfill the clip, however tempting, it just jams. It's easy to sort, but not as dramatic as saying "ready, set, go" and actually firing 9 cars at a ramp. If you do get a jam within the blaster, there's an inspection hatch on the side and your blaster won't switch on unless it's properly shut. 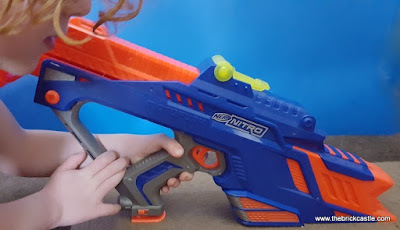 You might have visions of cars being fired all over the house, but the blaster has a 'dead man's handle' in the form of a press-in base in the handgrip, so that it has to be placed on the surface before it'll fire. Obviously you can get around this, but the cars are gravity fed into the chamber, so point it at the sky and nothing will happen. 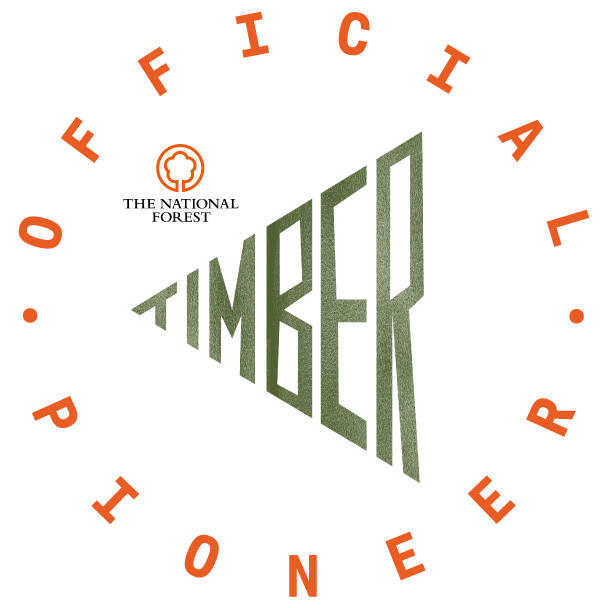 It's really cleverly done. This blaster has the biggest sight ever! 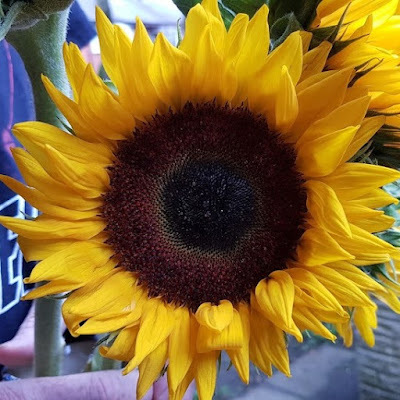 It's huge and bright yellow. It's also pretty useful - Aim early to miss where the ramps meet the ground or you crash out instantly. 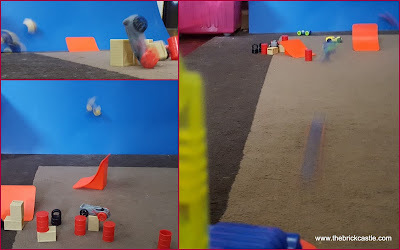 The obstacles fly everywhere, they work really well. 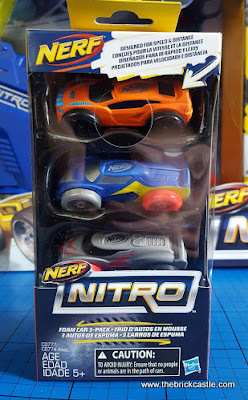 The Nerf Nitro cars themselves are gorgeous. Brightly coloured foam cars with plastic wheels and chassis. They don't hurt. I'd go so far as to say they smart less than the darts can do... The car packs contain exclusive designs - my son is smitten with the cars that have 2 colours of wheel. It's at least as much fun as it looks. 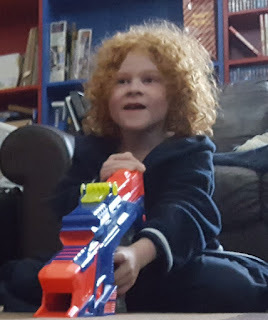 We've all played, we've used up a set of batteries already, but had so much fun. Making the barrels and other obstacles explode all over the place has been great - extra cool points when it makes a clattering noise. 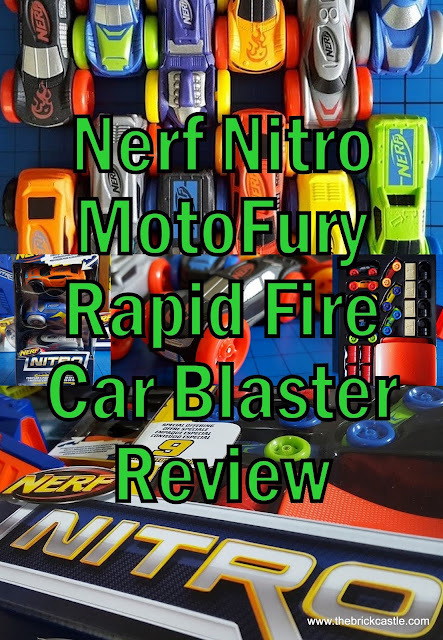 The Nerf Nitro MotoFury Rapid Rally Blaster and Nerf Nitro Cars are excellent. It's actually really nice to move away from darts and the addition of ramps, jumps and crashes brings a whole different element. I'm sure they won't excite as many teenagers as younger players, but give it a go - there's something very pleasing about belting out 9 cars at Nerf speed towards a tower of plastic tyres. 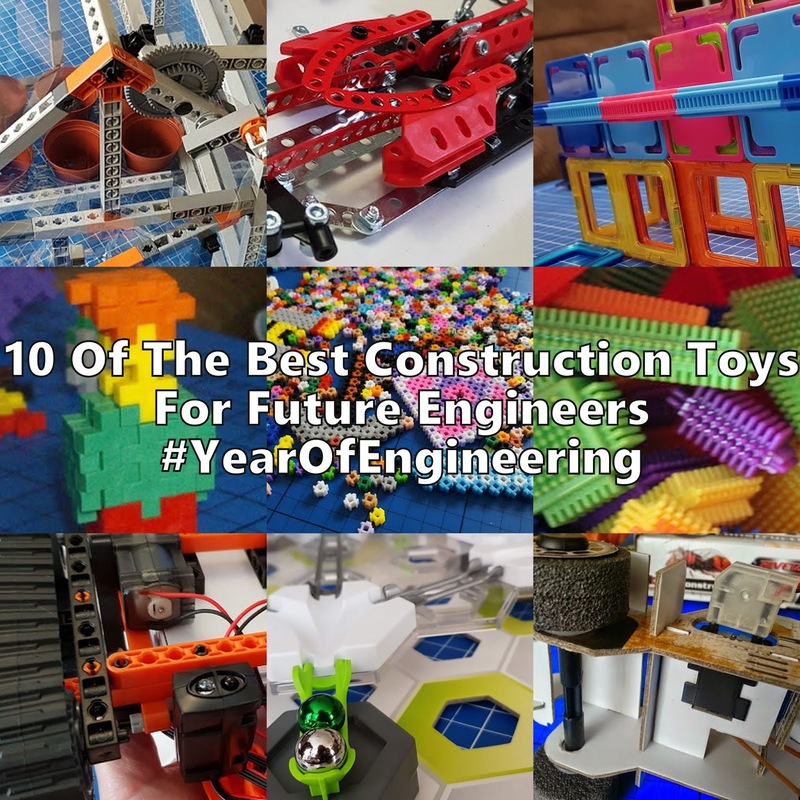 The age range of 5+ is more about sensibility than ability, my 7 year old adores this and has played with it far more than anyone else - yet injured no-one and broken nothing. 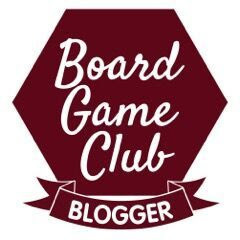 It's a win. 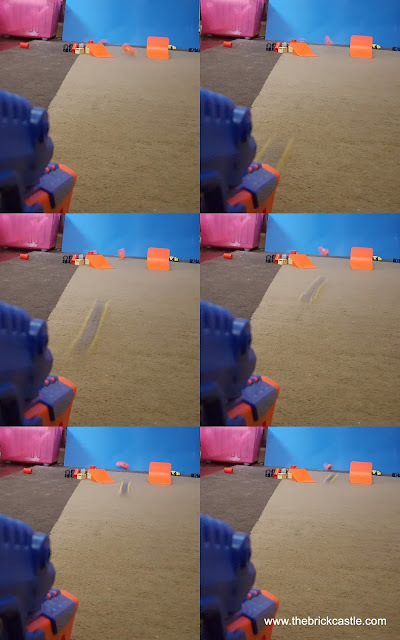 Our set is one of the bigger ones, but Nerf Nitro blasters start at £10.99, with bigger sets from around £22. You can find out more about Nerf Nitro, play games and watch videos on the Nerf Nitro Hasbro Website. 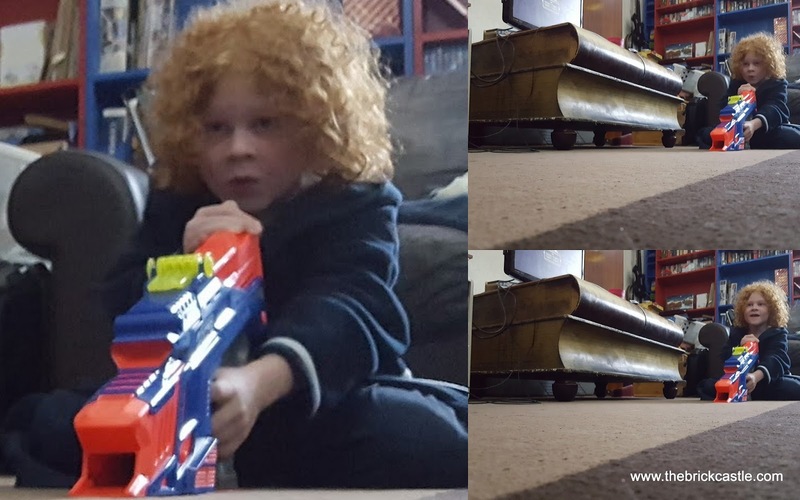 The Nerf Nitro MotoFury Rapid Rally is available to buy now from toy shops instore and online, including Smyths and The Entertainer rrp £49.99. 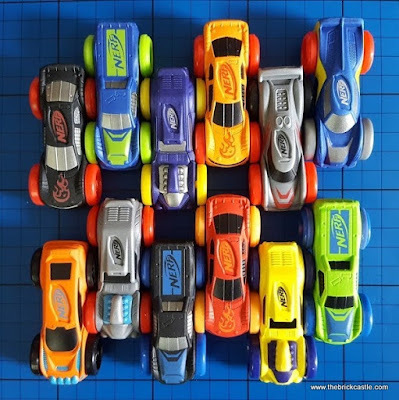 The Nerf Nitro Foam Car 3-Pack is available in 3 different colourways rrp £6.99. 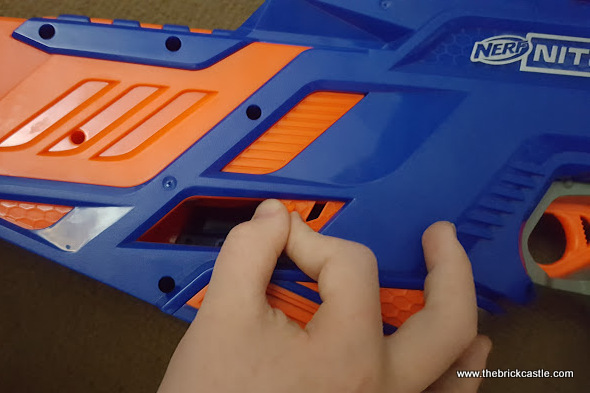 We were sent our Nerf Nitro MotoFury Rapid Rally from Hasbro for review. Thank you, I now know what to get the Little Man for his birthday next month. 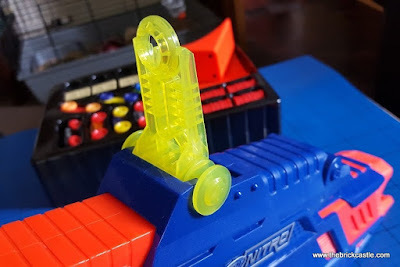 He has seen this on the tv and I was thinking about it as we are big Nerf Fans. 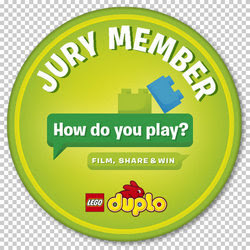 I really think he will love playing with this.